If you live anywhere near the Gulf or East Coasts, you’ve seen your fair share of hurricane warnings over the years. But even though storm season comes and goes like clockwork every six months, it’s easy to forget, or simply be unaware of, how you can protect your home from a hurricane. From strapping down your roof to cleaning up your yard, we’ll show you what you can do to give your property the best chance against Mother Nature’s worst. 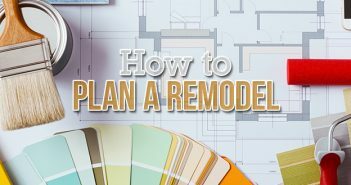 Take a look at the projects below to start hurricane proofing your home. 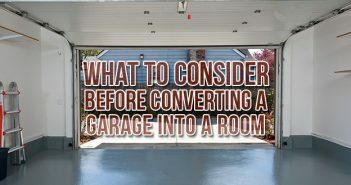 Reinforcing your garage door should be at the top of your hurricane preparedness list. If your garage door fails during a storm, the high winds will create a pressure-cooker effect that can blow your roof right off. Double-door garages are particularly high-risk. To stay safe, purchase and install a garage door bracing kit. These are typically sold at home improvement stores, with two-door kits costing as much as $500. There are plenty of high-end hurricane shutters on the market, but in nearly every case, plywood shutters are just as effective for much less money. 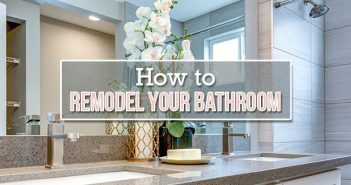 Making and installing plywood shutters is a simple DIY task, just make sure to use plywood sheets that are between 1/2 inch to 3/4 inch thick. “One digital way to prepare for a hurricane is to take a home inventory that includes photos and documents of both your personal possessions as well as the equipment, appliances and materials in your home. Doing this helps in two ways. 1. Doing a home inventory can make sure you are properly insured before a hurricane strikes. If you have a classic gabled roof, you should install braces at either end of your roof, anchoring them to adjacent trusses. These types of roofs are notorious for “unzipping” during high winds, exposing the home’s interior to wind-driven rain. While you’re at it, ensure that all your trusses are securely nailed down, adding nails wherever necessary. If you’re not the most DIY-prone, you should hire a professional roofer. Without reinforcement, hurricane winds can tear your soffits away. 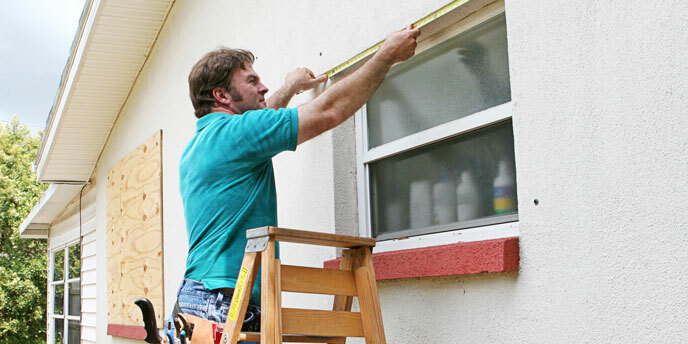 Luckily, preparing your soffits for a hurricane is simple and inexpensive. Just apply polyurethane sealant (easy to find at Home Depot or any other hardware store) along the soffit channel and in the spaces where the fascia material meets the wall channel. A key part of protecting your home’s roof is securing your shingles. Inspect your roof and use quick-drying roofing cement to re-adhere any loose shingles. Apply four daubs (about one inch across) of the cement to the underside of each shingle. Focus on shingles near the edge of the roof and near gable ends. If your roof is over 20 years old and shows obvious signs of wear, you might want to replace it before the next storm season. At the very least, you should have your roof inspected to see how much longer it will last. A new roof will not only be more structurally sound, but also make subsequent repairs easier. If you do decide to replace it, we have roofing dumpsters available so you or your contractor can easily get rid of the old shingles. While you’re reinforcing the ends of your roof, you should also reinforce each of your rafters using hurricane straps. These metal connectors secure your rafters to the tops of your walls, making your whole roof much more wind-resistant. There are a few DIY guides out there showing how to install hurricane straps, but it’s recommended that you have a professional install them to ensure they will do their job once the wind picks up. When adding to your landscaping, don’t plant trees any closer to your home than the maximum height they will reach when fully grown. You should remove any existing trees that are close enough to fall on your house if they are broken or uprooted during a hurricane. Cleaning up your yard is a must when a storm is coming, but even if there isn’t you should know in advance where you will put outdoor furniture and other decor. If you find yourself low on storage space, it might be time to rent a dumpster and remove some junk from your shed. You should also toss out any branches or other yard debris you have in the dumpster too (if mixed waste is allowed). A little-known hurricane prep tip for the home is to remove any gravel surfaces near your home. Since gravel is solid, yet light enough to be picked up by strong winds, it can cause significant damage to your siding and windows during a storm. Replace any decorative gravel you have with mulch (which won’t cause damage when picked up by storm winds) or groundcover plants. Sheds and other outbuildings that lack a permanent foundation can be torn up and turned into wrecking balls by hurricane winds. You can secure these structures by installing shed or mobile home straps, depending on the size of the structure. These can be found at any large home improvement store at a price range between $10 to $30. Now that you know how to prepare your home for a hurricane, take the next step by using our severe weather guide to put together an emergency plan and learn how to clean up after a storm. 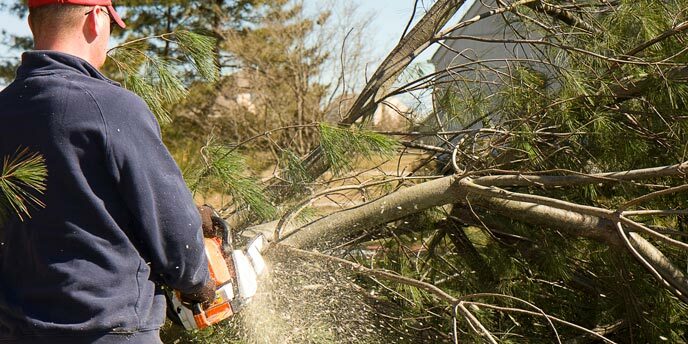 And after the weather clears, we’ll be here to help you remove every last piece of storm debris. Good article. Love the sandbag calculator. May have to jettison my gravel for mulch. Wow, that was so useful! Thank you so much!